Thats right, the director of NIGHT OF SOMETHING STRANGE needs YOU....well your money at least, but you will get some cool stuff in return. Funding towards his new project JOHNNY Z has begun and they are already half way over their proposed target, but they still need your help to reach their final goal of $15,000. 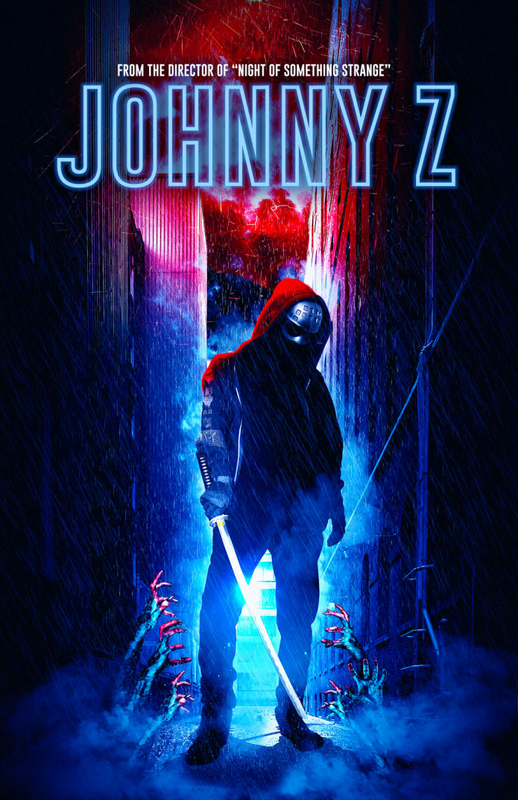 "a horror action genre feature film about a half human, half zombie named Johnny who, under the guidance of a martial arts master seeks vengeance on the evil corporation that created him. It’s LAND OF THE DEAD meets THE RAID". So what will your money go towards I hear you ask. Well it will be for equipment rentals, wardrobe, props, practical special effects, fight choreography and stunts. There is some really great perks if you decide to contribute towards this Indiegogo campaign. From exclusive signed Blu-ray, posters, t-shirts, DVD's, be a zombie and more! So why not click the link below and contribute to this new project today.